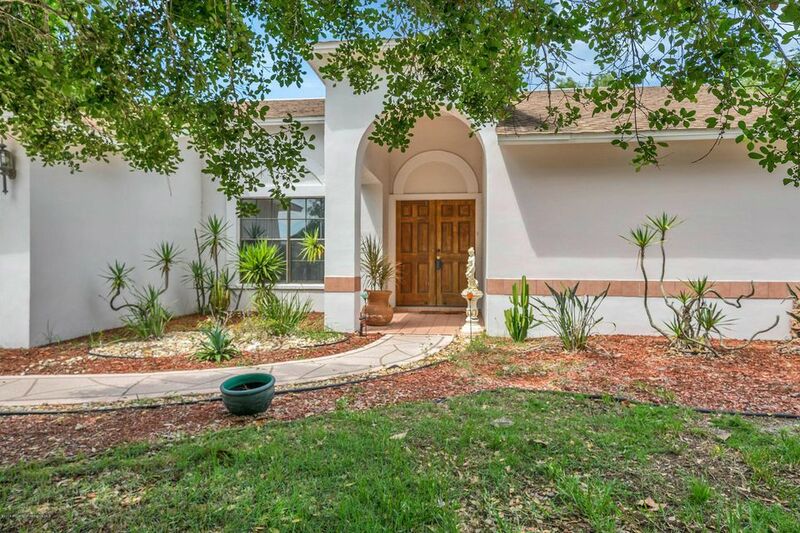 Adorable and well maintained 3 bedroom home. 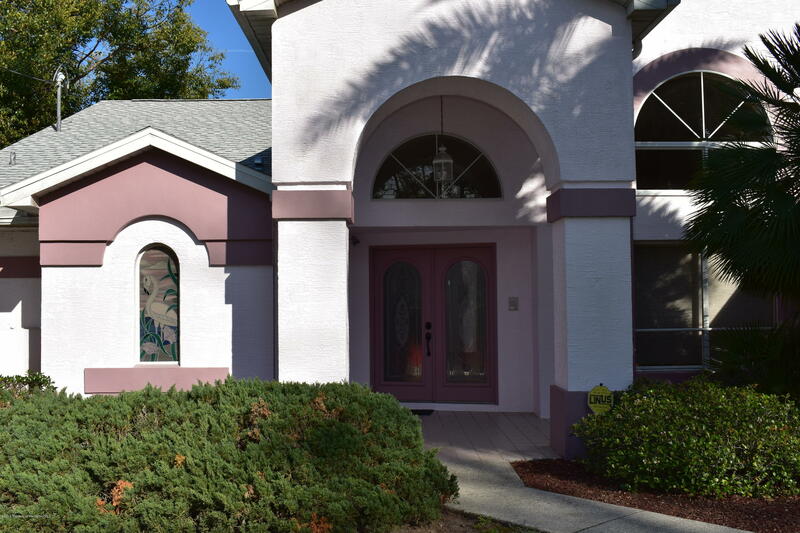 Updated heated pool home with a beautiful corner lot and great views. 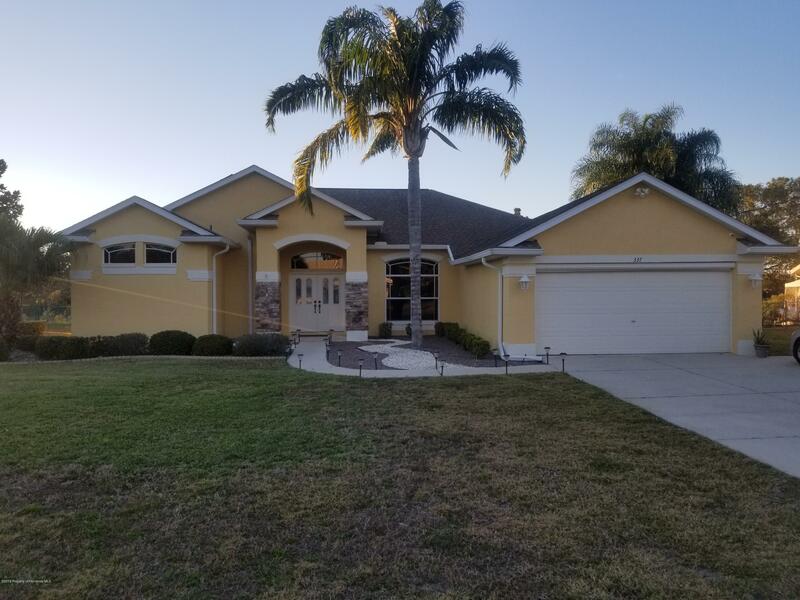 This home has it all in a 55+ community that offers 4 golf courses, performing arts center, full time restaurant, tennis court, two pools and two hot tubs, along with a fitness center and so much more. Gated and guarded the community has so much to offer and numerous clubs and activities along with free golf. This home is updated and offers a beautiful kitchen with solid stone counters and breakfast bar, recessed lighting and newer appliances. The kitchen opens to the family room with a wood burning fireplace, and sliders to the paver screened lanai and gorgeous in ground pool. All windows and sliders have been replaced. The inside laundry room leads to the 2 car garage with screens. There is an extra long driveway and a very private lot with great views.